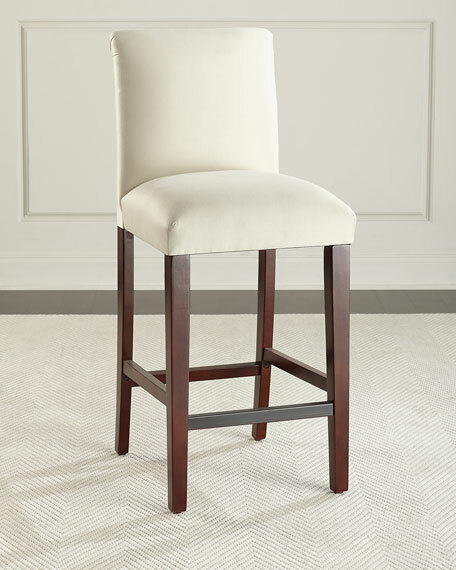 Handcrafted Alain bar stool with diamond tufting. 19"W x 24"D x 45"T; seat, 31"T.
Cotton and rayon shantung upholstery. Weight, approximately 32 lbs. Boxed weight, approximately 34 lbs.